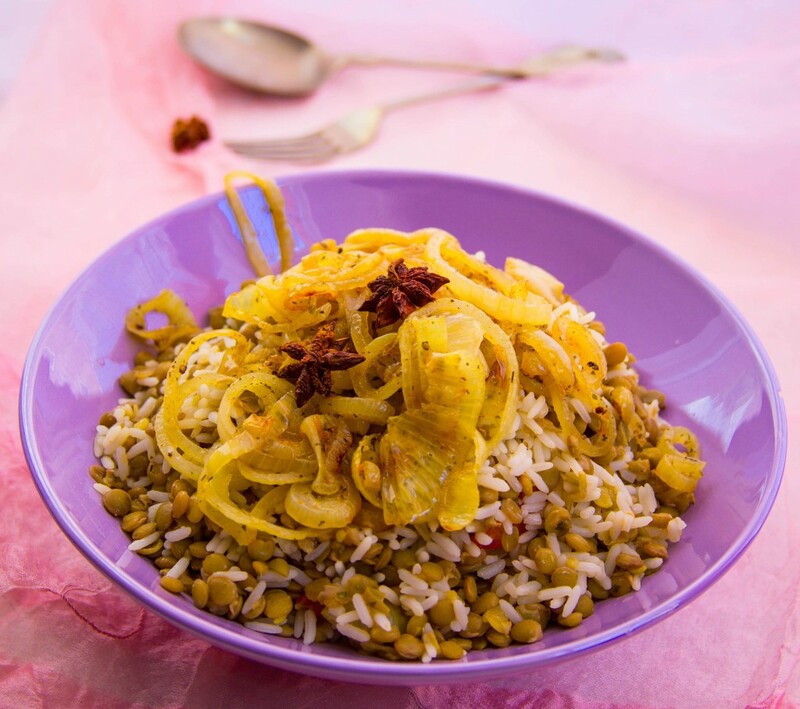 Mujadara, also known as megadarr, majadra, Megadarra, mudardara, mejadra or Mujadarah, is a delicious Middle East favorite food that is very cheap and super easy to prepare. Since I already have all the necessary ingredients such as onions, olive oil, lentils, rice, star anise, knorr cube, salt, pepper etc, I felt it was high time I prepared this dish. 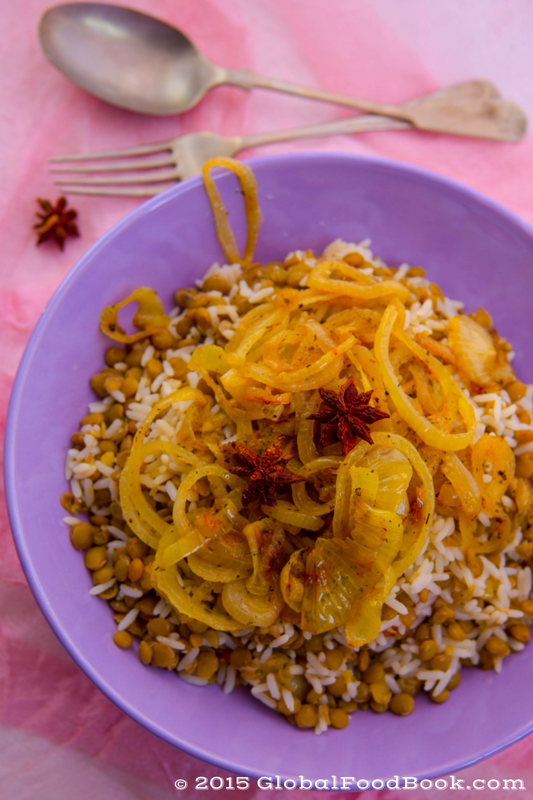 It is just a combination of tenderly cooked lentils and white, garnished with caramelized or sautéed onions and spices sauce. It makes a perfect meal for the entire family, friends and well-wishers, in-fact a super winner dish for vegetarians due to the nutritive content of lentils. 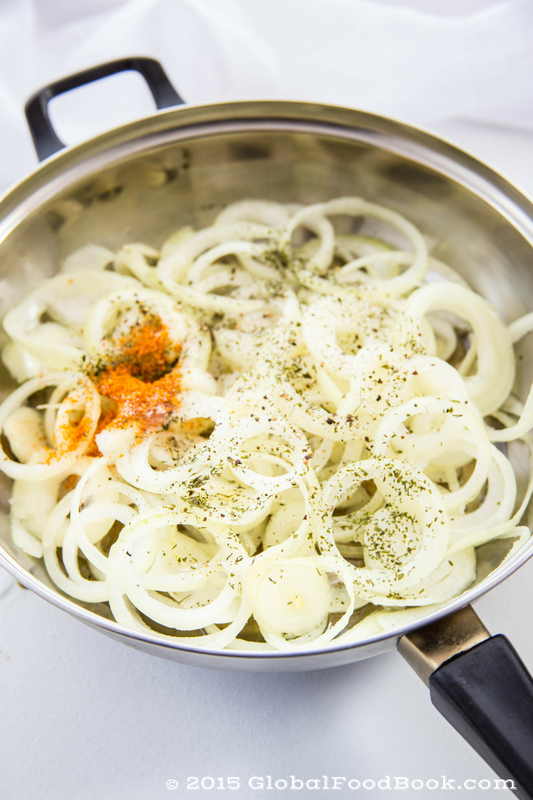 Although some people thinks that sautéing the onions can be time-consuming but I recommend that you do so alongside cooking the lentils and rice. By this I mean that you can spread out the different food over your cooker burners so that they all can get ready approximately the same time. The dish is just super easy and fairly fast to put together as they turned out very good and a perfect lunch. Sort and rinse the lentils in a clean water, add in a pot and parboil on a medium heat. Then bring down from heat, rinse and set aside. Wash the rice and parboil then rinse and add together with the lentils in a pot. Add a pinch of salt and a drop of olive oil in the pot, add water slightly above the content, stir and then allow to cook until done. 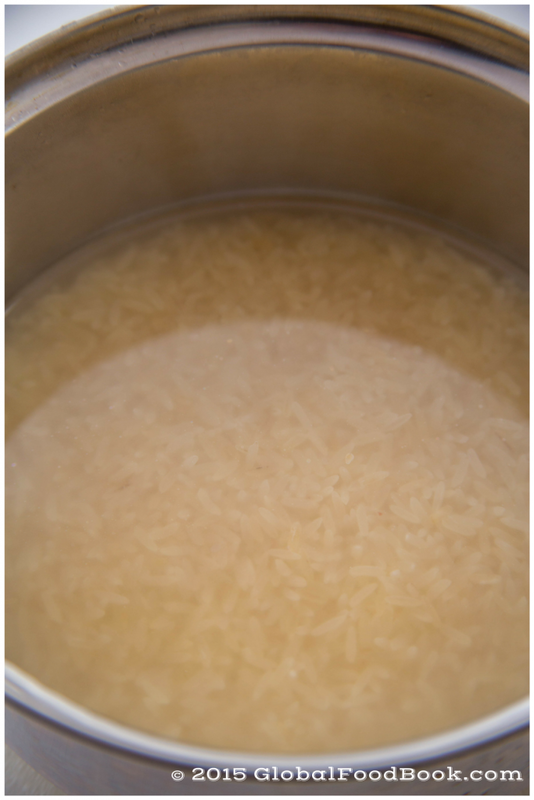 B Don't allow the rice and lentils to overcook. Once cooked, bring down from heat and set aside. Meanwhile wash and slice the onions then set aside. Slightly heat up the olive in a saucepan, sprinkle salt on the olive oil then stir in the onions. Grind the star anise and add into same saucepan. Add the chicken stock, pepper, cinammon, cumin and salt to taste. Fry and stir the mixture intermittently until the onions are slightly dry and properly cooked. Bring down the caramelized onions from heat and set aside. 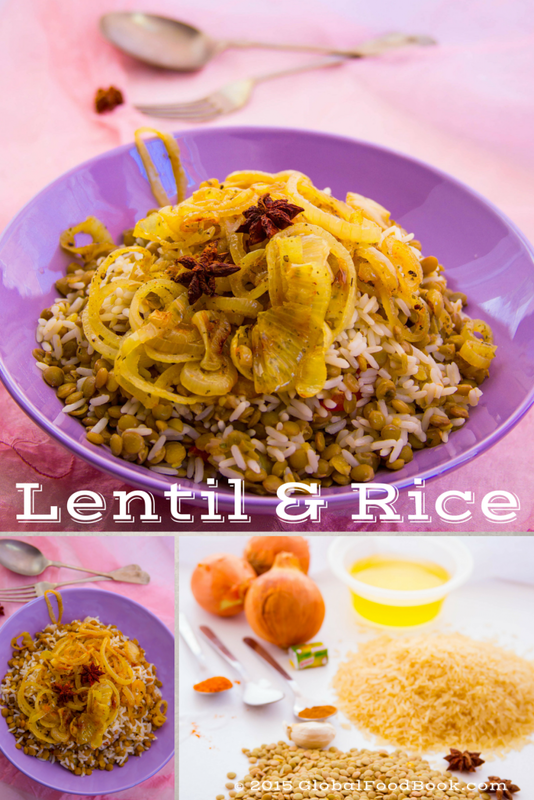 Serve the cooked rice and lentils garnished with the onions sauce together.